The "Lord Eight" Yuen Woo Ping directed, Raymond Wong Pak Ming led, Donnie Yen Chi Tan produced kung fu action film MASTER Z: THE IP MAN LEGACY (IP MAN OI JUEN: CHEUNG TIN CHI) became the 23rd Busan Film Festival closing film. The film was also the first kung fu actoin film to be selected as the closing film. Yesterday Lord Eight led actors Max Zhang Jin, Kevin Cheng Ka Wing, Patrick Tam Yiu Man, Chrissie Chau Sau Na and Ada Liu Yan in a Busan appearance and participated in the closing film press conference. Lord Eight and the cast also shared their production experience. The film MASTER Z: THE IP MAN LEGACY became the first opening/closing kung fu action film in Busan Film Festival history. Director and action director Lord eight naturally was very honored. At the press conference, Lord eight personally explained the reason that he made the film. "MASTER Z: THE IP MAN LEGACY followed IP MAN 3's Cheung Tin Chi character. The Cheung Tin Chi character was very positive. The film made this character into a very stubborn martial artist but contained martial art within, Wing Chun in particular, as well as various human elements. The production overall felt very rich and was a great script with potential." 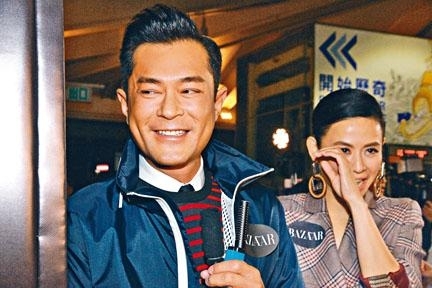 Louis Koo Tin Lok will turn 48 on the 21st. As for how he would celebrate, Goo Jai revealed that since he was an infant he spent his every birthday stone faced. Thus he never expected such a special celebration. No wonder even Goo Jai laughed himself to tears after saying that and Jessica Hester Hsuan (Suen Huen) had to hand him tissue. Carlos Chan Ka Lok recently has been busy with his new film COLD DETECTIVE (SUN TAM DAI JIN). Yesterday happened to be Ka Lok's 32nd birthday. Emperor Group chief Dr. Albert Yeung Sau Sing visited the set and celebrated with Ka Lok. Boss Yeung praised the birthday boy, "I have always seen Ka Lok's potential. He not only has an outstanding appearance but also a serious work ethics. His acting is getting better and better. This year his career has a major breakthrough. As he becomes a new generation god, I am very happy for him. In the future he will have even more development chances. I hope he will be able to properly take advantage of them. I wish his career would reach another level!" The birthday boy admitted, "I am extremely flattered!" Ka Lok had luck with people. Sean Lau Ching Wan who had scenes with the birthday boy wished him Happy Birthday, Good Health. "I feel he is very energetic, everyone seem to really like him." Charlene Choi Cheuk Yin also said, "I wish Ka Lok Happy Birthday, Good Health, Career reaching another level, make more money, and just as handsome everyday!" In the film HOTEL SOUL GOOD (NUI WONG JONG DOH JING), Chrissie Chau Sau Na and Louis Cheung Kai Chung played a pair of happy rivals. Sister Na said that with Ah Chung on the set she constantly had bad takes. Whenever she needed to give an emotional performance she could not look at him, because on the set he was truly too happy. Ah Chung said that in the film Sister Na had to find a man heavy in yin. He happened to be born on a yin day of a yin month in a yin year and could be easily possessed by ghosts. She needed this intermediary to communicate with ghosts. He too wanted to find someone who could see ghosts to find someone who has passed for him. Thus they have a common goal, even though they did not see eye to eye they leaned upon each other. Later after getting to know each other more they had feelings for each other. Ah Chung said that when they worked on their "electrifying moment", the originally romantic scene added comedy. As for their most intimate scene, Ah Chung joked, "It was very intimate, when she smashed a bottle over my head!" 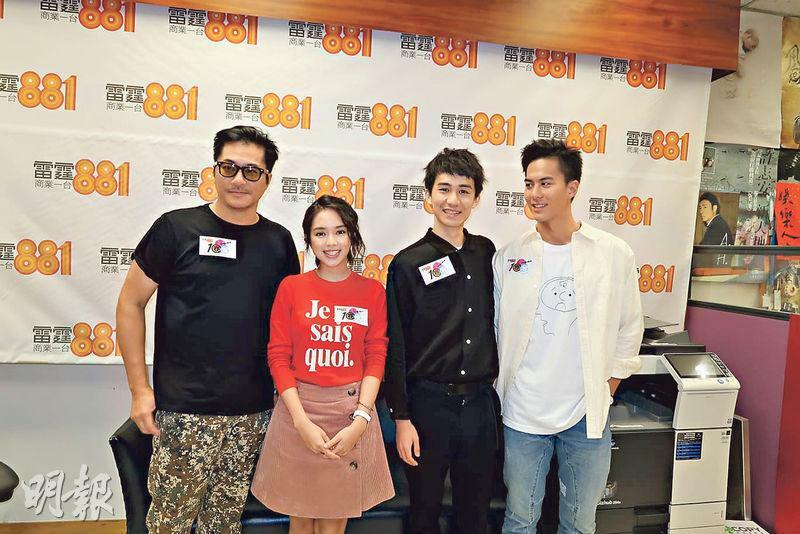 Cecilia So Lai Shan, David Siu Chung Hung, Kevin Chu Kam Yin, Ng Siu Hin yesterday promoted their new film NAPPING KID (YIK HEUNG YAU GWAI) on the radio. Playing a top of the class student, So Lai Shan was smart yet a little mischievous. Yesterday So Lai Shan's face was a little swollen. At first she thought it was a toothache and went to see a doctor. She learned that it was trigeminal neuralgia. "Every morning at 4 and 9 I would wake from the pain right on time. For now I can only take pain killer or apply ice. Later I will see a specialist." Siu Chung Hung said that new film was a rarely seen mystery suspense film. Before the shoot he read the original novel for homework. Later when the film will hold special screenings, the film company will arrange for him to welcome the guests. He said, "I haven't seen the final product, so I don't know how the result is. If it's not good I will be pretty embarrassed. However the film company said that it was OK, so I have confidence in it." Ng Siu Hin said that because he lived close to Siu Chung Hung he would get a ride from him to and from work. 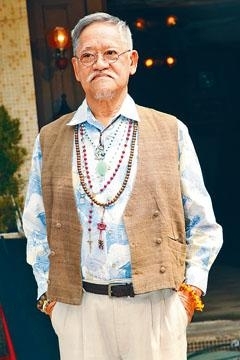 Although he had to work with elder "Big Brother Hau", Ng Siu Hin praised him for being easygoing and would not put up a front in front of the younger generation. Thus when acting he would not have any stage fright. The Myolie Wu Hung Yi, Sonija Kwok Sin Nei and Alex Lam Tak Shun starred, Alvina Kong Yan Yin voice performed film DEAREST ANITA...yesterday held a press conference to commemorate the 15th anniversary of the late superstar Anita Mui Yim Fong's passing. The event showed some videos about how fans did their hardest to return Sister Mui's items that were not auctioned off to the original owner. 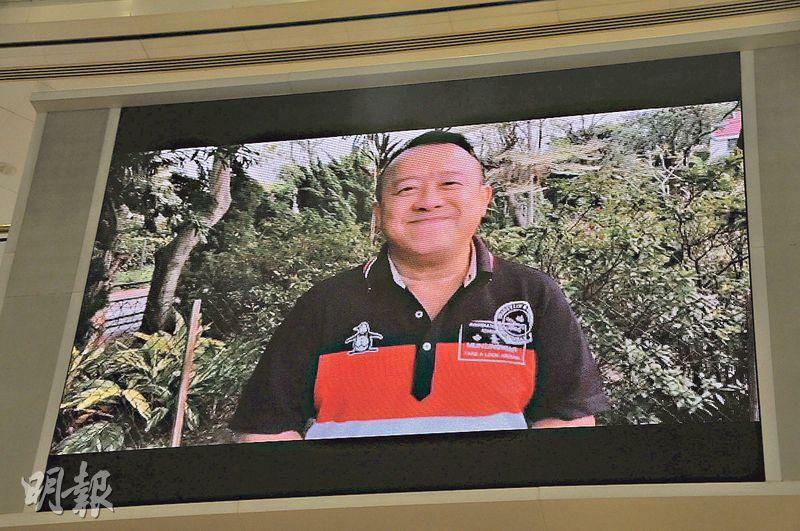 Sister Mui's friend Eric Tsang Chi Wai also shot a video to celebrate Sister Mui's birthday. From the Miss Hong Kong pageant of the same year, Kwok Sin Nei and Wu Hung Yi reunited and said that they talked about the past back stage. Now they are both wives and mothers and decades seemed to have passed. They admitted that they were not lucky enough to see Sister Mui in person, but always thought of her as their idol. 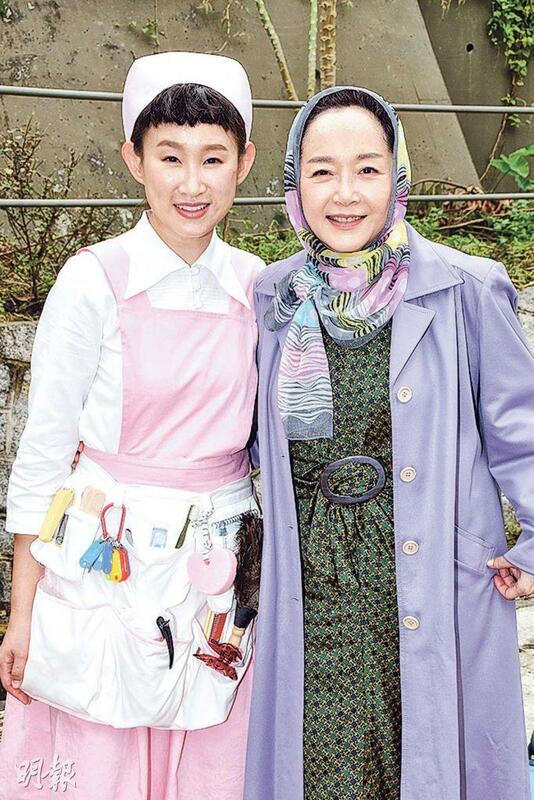 Hung Yi said that her eldest sister was a Sister Mui's fan so she grew up listening to her songs. 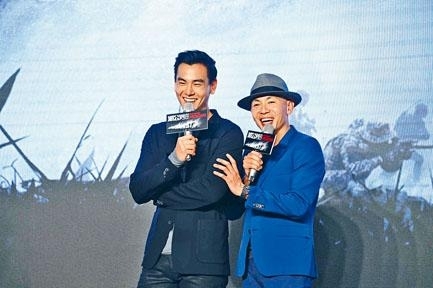 Although in the film Kwok Sin Nei and Hung Yi did not have any chance to perform together, they both were deeply moved by the script and agreed to perform right away. They were able to learn about the real Mui Yim Fong from the fan angle. The Dante Lam Chiu Yin directed film OPERATION RED SEA would represent Hong Kong to compete for the Oscar Best Foreign Film Award nominaton. Earlier, the China Film Archive held a special screening and showed two of his earlier film BEAST COPS (YEH SAU YING GAING) and JIANG HU: THE TRIAD ZONE (GONG WU GO GUP). 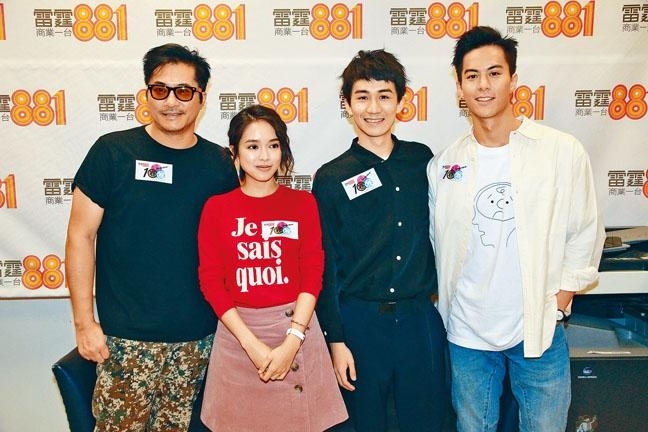 Lam Chiu Yn even talked about his 30 year film journey and revealed for the first time news of his latest film GUNG GUP GAU WOON (EMERGENCY RESCUE). He said that the film would have a lot of special effecs and scenes at sea. "They all would be our first experience, the effects would be several times more than OPERATION RED SEA." OPERATION RED SEA's Wang Yutian, producer Candy Leung Fung Ying and Ian Wang Yanlin also showed their support. Wang Yanlin would also join the cast of GUNG GUP GAU WOON. As for the creative background and experience of BEAST COPS and JIANG HU: THE TRIAD ZONE, Lam Chiu Yin admitted, "These two films were made when Hong Kong film was at its worst, particularly JIANG HU: THE TRIAD ZONE. At the time only two films were being made in Hong Kong, one of them was JIANG HU: THE TRIAD ZONE. Due to piracy the film company had to lower ticket prices for BEAST COPS from HK$ 55 to 60 a ticket to HK$ 25 a ticket. Later the financial storm began, making matters worse." Mainland artist Wang Baoqiang's comedy films in recent years have been big hits as he became a box office guarantee long ago. 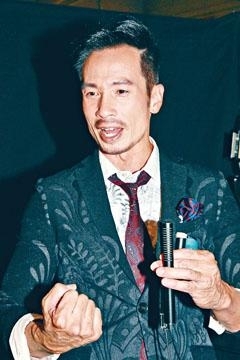 Mainland media claimed that he has taken the baton from Stephen Chow Sing Chi as the new generation King of Comedy. 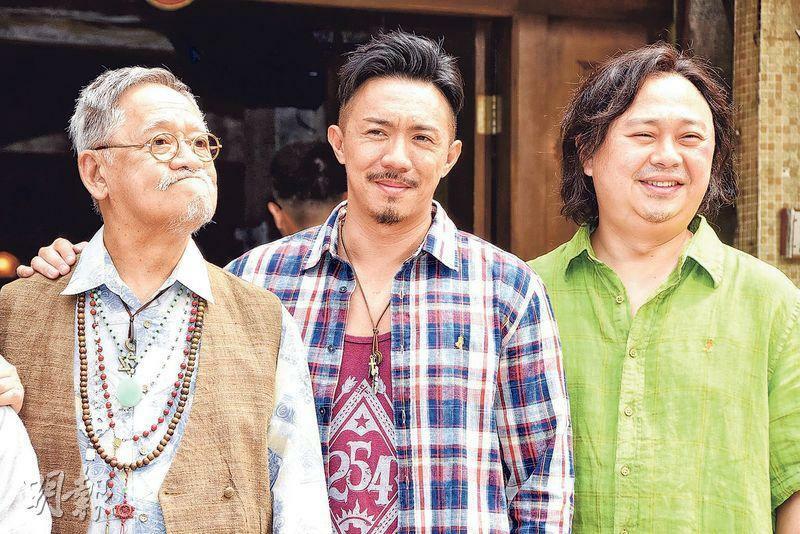 Yet the two "Comedy Gods" finally had the chance to work together, as they earlier secretly "teamed up" for the sequel to the classic KING OF COMEDY 2 (HEI KET JI WONG 2) for the Lunar New Year slot next year! With over 25 films under his belt, Wang Baoqiang's total box office exceeded 10 billion yuan. This year's two releases DETECTIVE CHINATOWN 2 and THE ISLAND made 4.8 billion yuan RMB. This Spring Festival DETECTIVE 2 even broke the historical record for comedy film. The Andrew Lau Man Chung directed Lunar New Year film TREASURE (YU JU YU BO) yesterday shot on location in Sai Kung. Actors included Tian Niu, Louis Cheung Kai Chung, Ivana Wong Yuen Chi and Richard Ng Yiu Hon. Cheung Kai Chung said that this story would be about two generations, but it had no script. It was environmental safe that it did not even have papers to fly. Lam Man Chung joked that after the production ends then there would be a script.